Free Yourself from Anger offers two simple, easy-to-learn techniques for getting an immediate handle on your anger and two more for sustaining control over the long term (Ch 4). Chapter 5 is an easy to read summary of the physical damage anger does to your body and brain. 1. When I grew up in foot hills of the Cascade mountains after baseball our favorite avocation was catching snakes.I dare say there was not a species of snake in the Pacific Northwest we did not catch. The first thing we learned when catching a cantankerous or poisonous snake was to firmly sieze it right behind the head with a three prong finger grip. Once we had the snake in this grip we were home free and out of harms way. Essentially what Clayton does in this book is show you how to plant the three prong grip on anger. 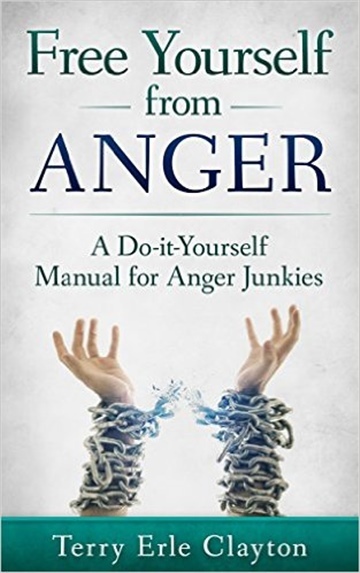 This book is brilliant, accessible and most importantly it walks you through a simple effective way to take charge of toxic anger and bring it under control. 2. I'm angry that I read this book. My doctors tend to dismiss everything I tell them. This author hits it on the head in the first part of the book. I'm going to take this book to my doctor's office visit this next week.